Himalayan mountains are the number of Mountains that lies in the Himalayan ranges of Nepal and Tibet, China border. That ranges includes the World’s highest peaks as Mt. Everest, Mt. Makalu, Mt. Manslu, Mt. Kanchenjunga , Mt. Lhotse and others. These Himalayan mountains have lured the tourist from all over the World. Not only their height have made them the best mountains to watch but also the beautiful scenery seen from their lap also heightened their height. You can not describe the beauty of the World highest peaks until you see and feel it. You will be mesmerized by the beauty of these sky touching peaks and 360 degree panoramic views is just in perfection. While talking about the Himalayan Mountains, they spread wide about 2500 kilometers through northern India, Pakistan, Nepal, Tibet and Bhutan. These mountains are the source of Famous and important rivers in the Asia as Indus, Ganges and Brahmaputra. In Sanskrit, Himalaya means the pile of snow. These Himalayan covers the World’s third largest deposition of glaciers, ice and snow. While talking about Nepal, it is Himalayan Country where World 8 highest peak lies along with other 14 peaks that is above 8000 meters. Not only this, Nepal is only homeland of the 70 mountains that has height above 7000 meters. Due to this reason, there is huge potential for Himalayan mountain expedition, trekking to base of world’ highest peaks, mountain climbing, and other recreations. In Nepal, there are also unclimbed peaks that is believed to be sacred and not permitted to climb due to belief off locals. Autumn and post monsoon are the best season that is in favours of the mountain climbers and trekkers most. Location: Solukhumbu District, Nepal, also Part of the Khumbu Mahalangur Himalayan Range. 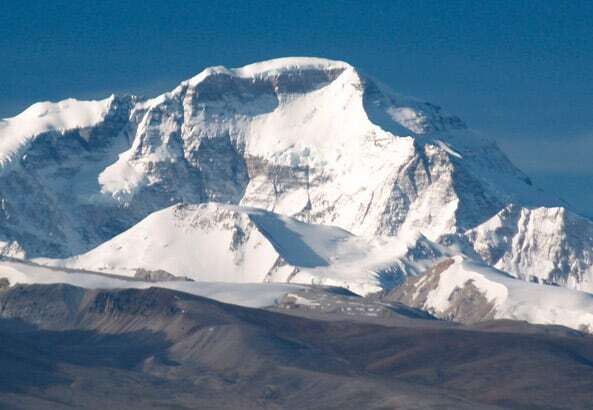 Mount Everest is known highest/ tallest point of the Earth. Everest stands high in the Khumbu region of Nepal but also the part of Mahalangur Himalayan range that extends from the India, Pakistan, Nepal and Bhutan. In Nepali, Its Name is Sagarmatha that mean the “Head of the Sky” also in Tibetans call it Chomolungma that means highest point of Earth. But it is maned After the Sir Gorge Everest. 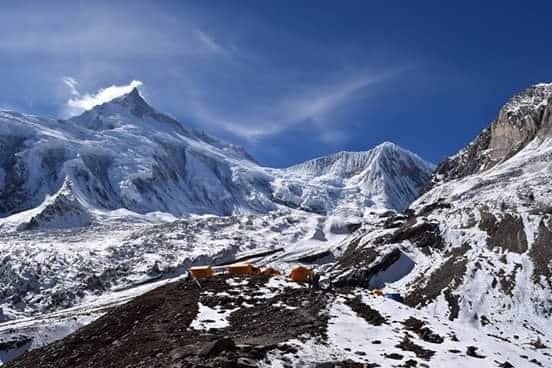 Apart from the Everest Expedition, Everest Base Camp trek is another adventurous trek that will offer the best view of the Mt Everest and the neighboring peaks. Both Mount Everest and Everest Base Camp trek is famous allover the World. Do not miss this, Opportunity For Everest Expedition and Everest Base camp trek. 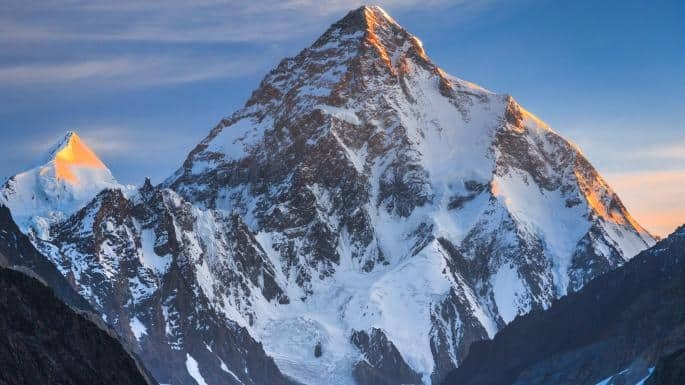 Mount K2 is the second tallest peak of the World that stands high between the border of China and Pakistan and in the Karakoram Range. K2 expedition is very challenging due to its geography. Best time for expedition is in July and August (the warmest times of year). In July 31, 1854 Two Italian men Achille Compagnoni and Lino Lacedelli first successfully climbed the Peak. Mt. Kanchenjunga, the third tallest mountain in the World that stands high in the Taplejung District of Nepal. The Kanchenjunga massif is the wonderful combination of the five prominent peaks which are called ‘The Five Treasures of the Snow’ by the locals. While this sacred mountains was first climbed successfully on 25th May, 1995 by Joe Brown and Gorge Band. Mt. Kanchenjunga lies in Kanchenjunga Conservation Area. There is believe that Demon Deity lives there. Although the Mt. Kanchenjunga is the wonderful and jewel of mountains. Location: Solukhumbu District, border of Nepal and Tibet. 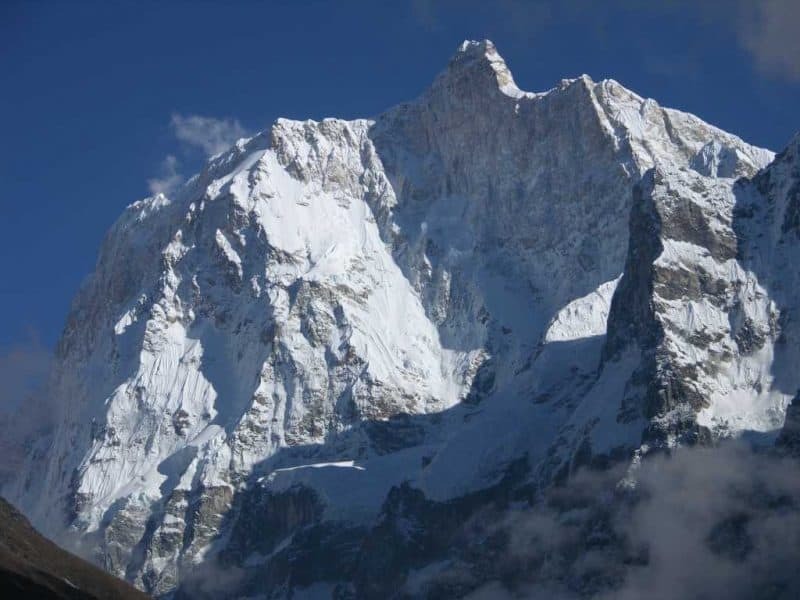 Known Fourth tallest mountain in the World, Mount Lhotse that is neighbor of Mt. Everest with height of 8511 meters lies in Khumbu region. Mt. 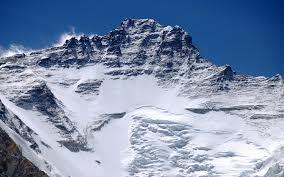 Lhotse is the more difficult for climbing due to its rockyness. Due to this reason, this mountain is also called the deadly mountains in the world. Many attempts gone in vain and many fatalities while trying to climb. But this mountain was first climbed by Ernst Reiss and Fritz Luchsinger in 1956. Known Fifth highest mountain, Mount Makalu stands high with 8,481 meters just 14 miles (22 kilometers) southeast of Mount Everest on the border between China and Nepal. It is an isolated peak is like four-sided pyramid of snow and ice. 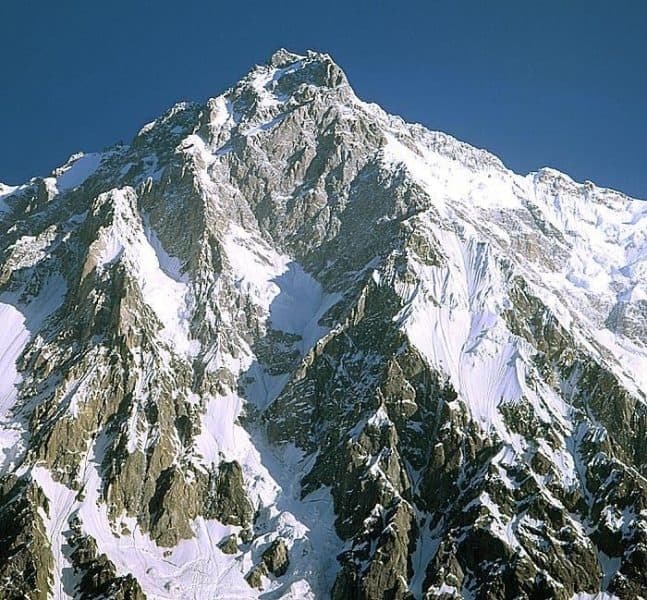 On May 15, 1955 Lionel Terray and Jean Couzy successfully climbed the peak, both were part of a French expedition. Unlike the Mt. Lhotse is more difficult to climb. Due to its isolation, this mountain receives fewer number of visitors. This is most compelling and challenging mountain to climb but yet the Scenery is eye catching around the Mountain. First ascenders: Pasang Dawa Lama, Herbert Tichy and Joseph Jöchler. Mt. Cho Oyu, the sixth-tallest peak of the World stands tall just 20 km west of Everest between the Nepal China Border.The mountain gains name from the Tibetan word ‘Cho Oyu’ ‘Turquoise Goddess. It is also a part of the Mahalangur Himalayan range. This mountain is the taken as the easiest climbable peak above 8,000 meters. The mountain also makes up a part of the glaciated High Pass mainly used for trading by the Tibetan and Nepali traders. Due to its easy routes lots of mountaineers are able to do the the expedition. Mt Choyou is easily accessible via Tibet although these is route for the top from Nepal too. While talking about the Dhaulagiri I, it is the 7th is tallest peak in the world. 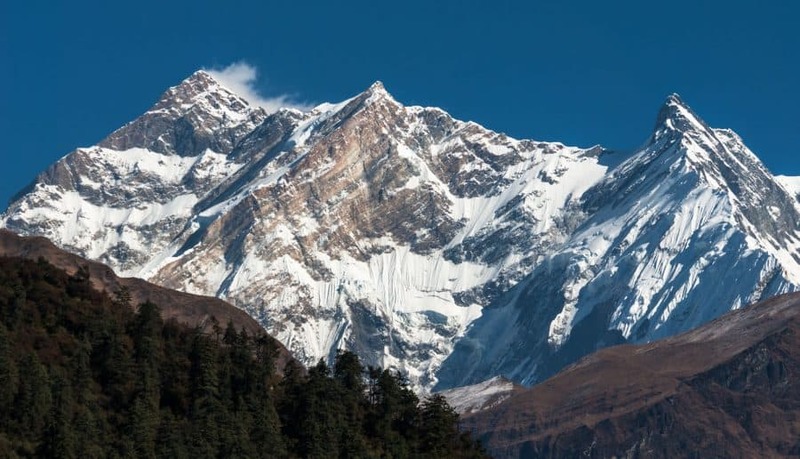 This tallest mountain lies in the northen part of part of the Mount Dhaulagiri massif that extends from the Kali Gandaki River all the way to Bheri. Dhaulagiri is named after the Sanskrit word”- “Dhwala” meaning “dazzling, white, and beautiful” and “Giri” meaning “peak/mountain”. World 7th highest mountain offers trekkers an off-the-beaten-paths trekking journey. The trekking to Dhaulagiri is the for those trekkers who want isolated area. Stunning view of the Mountains of Dhaulagiri III, IV and V, the main Churen Himal, east Churen Himal, west Churen Himal, Dhaulagiri VI and VII, Gurja Himal, the False Junction Peak, Peak Hawley and the Hiunchuli Patan is noticeable with their 360 degree panorama . On May 13th, 1960 members of the Swiss-Austrian expedition team- Kurt Diemberger, P. Diener, E. Forrer, A. Schelbert, Nyima Dorje Sherpa and Nawang Dorje Sherpa first summit the peak. Standing high in the part of the Mansiri Himalayan massif, Mt. Manslu is the 8th tallest mountain in the World. Among the locals, Mt. Manslu is widely known as “the Mountain of Spirits”. Mount Manaslu lies in the Western Gorkha District of Nepal and is about 64 km east of the Annapurna Mountains. In 1956, Toshio Imanishi, Artur Hajzer and Gyalzen Norbu in 1956 first acclimated highest peak. Manaslu’s long ridges and valley glaciers offer practical approaches from all directions. Nanga Parbat with 8,126 meters is the World 9th mountain in the World. 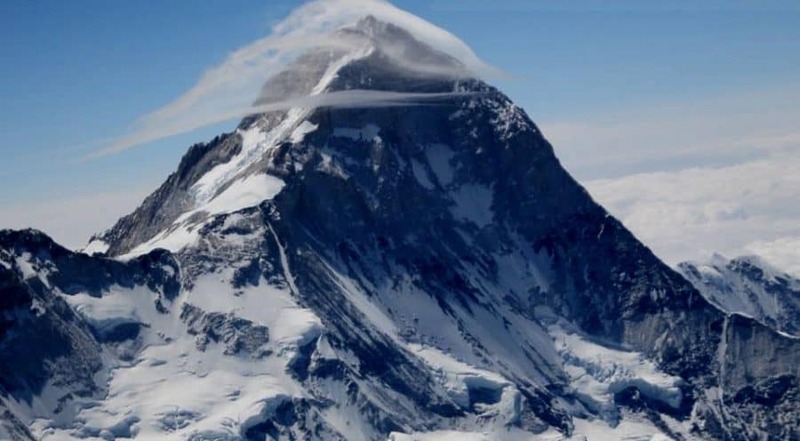 It is also nicknamed as the “Killer Mountain” for its high number of climbers death. Nanga Parbat stands high approx 27 km west-southwest of Astore district, in the Gilgit–Baltistan region of Pakistan Gaining its name from the Sanskrit words, ‘Nanga” means “Naked” and Parbat means “Mountains”, It means it is naked Mountain. You will be enjoying the immense, dramatic peak rising far above its surrounding terrain. 10th highest mountain in the world i.e Mt. Annapurna I is the most amazing part of the Annapurna mountain massif. The name is derived from the Sanskrit Word Anna means Food and Purna means Full, It means “Full of Food”. It is known as the most panoramic mountain in the World and its famous for the Annapurna Base camp trek for its easiness and calmness.